Hot stone cooking with a twist. 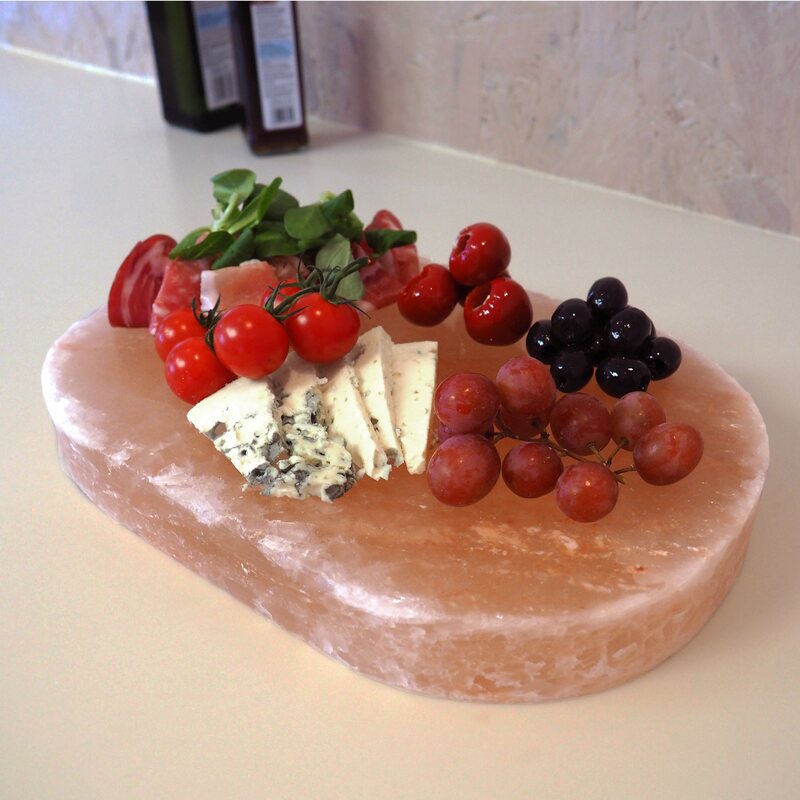 An oval handcrafted Himalayan salt block made from a slab of natural solid rock salt. Great with almost anything... ideal for cooking on and presentation purposes. Heat and use for searing, serving, or pop in the freezer to use as a chilled plate, all while flavouring your food with this delicious pink salt. Approximate Block Size: Length x Width x Depth: 12" x 8" x 1.5"(30.48 cm x 20.32 cm x 3.81 cm). 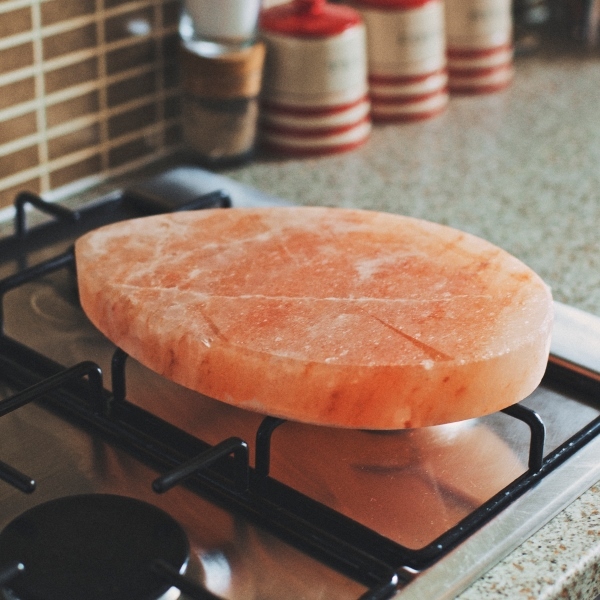 How long will your Himalayan salt block last? There are many factors at play but first and foremost, the size and thickness of the block. Salthouse blocks are substantial in size and if maintained properly will keep for at least a year with reasonable, regular use. To clean simply use our salt block cleaning brush, remove the excess foodstuffs, wipe down with a damp cloth and dry thoroughly. As the blocks are made from Himalayan rock salt, when the block eventually wears down into smaller pieces, use the Rivsalt salt grater (see separate listing) and season your food as normal. This product is dispatched by Salthouse and Peppermongers. This item has a shipping weight of 4,400g.